« Destructanks – Destroy everything! While not frequent, I had received word that some controllers did not work in Firewing 64. To address this, I have completely overhauled the input system by integrating Rewired in to the project. This will support virtually every imaginable controller you can run on a PC as well as make for a much more streamlined interface for remapping the keys, adjusting sensitivity, and inverting axis. In addition, I also fixed a bug where the crystal count would not persist between sessions. This meant that after collecting a crystal and exiting the game, your count would return to 0 and the crystal previously collected still registered that it had been. 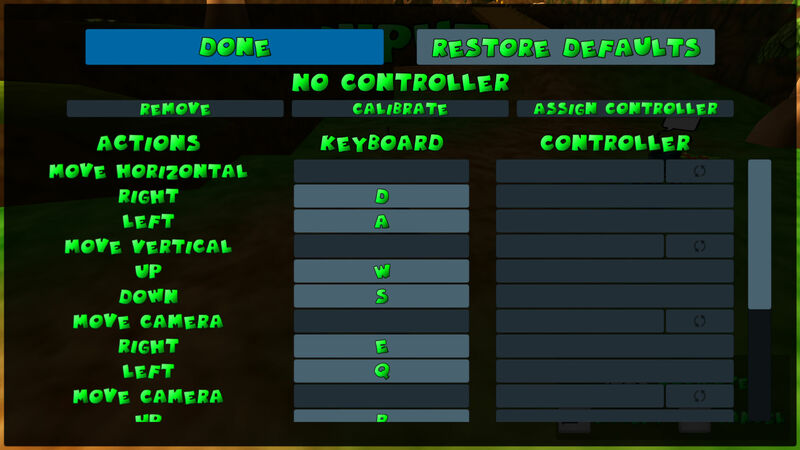 Though not as exciting as the updates made in version 2.0, at least now it is 100% more playable for those who had controller input issues (or wanted play to correctly persist between sessions)! Download version 2.1.0 here or on the Downloads page.